Here's a great pic I took on a Manhattan bound F Train. LOL! 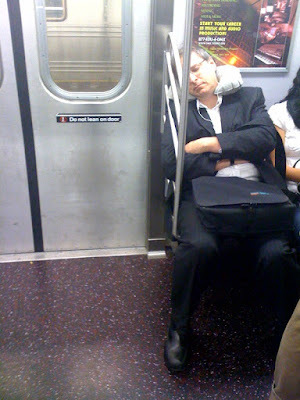 He looks very comfy with his inflatable pillow.. sometimes I wish I had one for the train ride into work.